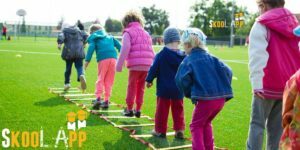 Post-school Activity or after school activity is a program or regular event arranged for students of different age group besides their normal school schedule or traditional school hours. Post-school activities are arranged by schools or by other persons that are not related to school. These activities include so many things through which children can learn an additional skill which can be their future profession and can also be a part-time profession for them. Post-school activities are a way to enhance a child and his capabilities. These activities allow a child to learn, build, plan and prepare. Activities designed for the different level of students as per their age are like a booster to them which boosts there hidden talents and garnish them. 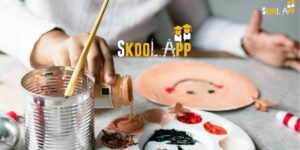 post School Activities can be of different types it may include writing classes for toddlers or poem learning, or it can be of music class or some other art. These activities are organized inside school premises or campus, there may be a special period for this or additional timings for these activities after school. In these activities, schools arrange workshops for kids or activities like a musical chair or small level competitions, essay writings, debates competition or Quiz, art n craft, clay modeling etc. For middle classes or higher secondary, they organize olympiads or basic training sessions for internet or information technology or other specializations which can be an option for them in choosing a career after school. In addition to sometimes most probably in vacations, the school organizes camps for students, which I think are also a part of extracurricular activities, this includes – scouts, campfire, community visits, outdoor sessions of learning, educational tour and visits to museums, laboratories. This type of arrangements for teenage learners amplify their strength of learning and also stimulate their social attachments. This activity is the one where a student learns music, ballet, drama, dance or other forms of performing arts. In today’s time, this is very popular among parents and students to join a performing art class based on their level of interest. Usually, these classes are scheduled after schools traditional timings. Through performing art a student not only learns an art but also comes to know about the heritage and culture of that art which is related to there state or country, this increase there knowldege about there country and its cultural heritage. Nowadays many Music forms are popular among children like classical music, pop, rock, jazz etc and the tutors are easily available which provides the classes as per students comfort. the same way many Indian dance forms like “kathak” “Kathakali” Bharatanatyam” and other countries dance forms like “samba” “salsa” “Contemporary” etc are very popular all over all the world and it attracts many students to learn them. Many musical instruments are subject or craze among students like guitar, Acoustic Drum, Piano, Organ and also Indian Musical instruments like “Table” “Dhol (Played by Punjabi Community of India)” “Harmonium- Indian version of Organ” etc. Many universities all over the world provide Bachelor and Master’s degree in Performing arts and also diploma and short-term courses in it. Learning performing art nourishes the hidden talent of a student, which later can be his or her profession, maybe a student after learning singing become a renowned singer in later years or can be a world-famous ballet dancer. This is the benefit of these activities which not only enhance a child but also give them a career option. Creative arts finds the hidden genius, creative arts deals with imagination or production of ideas from a person mind, especially in artistic works. it includes drawing, paintings, literature, writings, visuals etc. creative arts is field where children with abnormalities can make their way, as it is found that children who suffer from any disorders, especially mental disorder, are surprisingly excellent in the drawing, paintings or some other types of artistic talent. As earlier i said in this topic “creative art finds a hidden genius” is absolutely correct, when a child with disorders walks into society, it deals with the childlike ill-treatment,but creative arts is the anchor to such a child, which can stand them separate and like a shining star beside from societies conventional thinkings where they are just thought to be kept in special schools or custody. Parents must encourage their children in learning creative arts and must fillip them in joining creative arts classes. Sports includes Competitive physical activity or games in which a person participate either in a team or alone. Including sports in students life will give a student good health and also a good career option. sports are also an element to refresh your mind, There are so many sports popular today and played all over the world like cricket, football, basketball, hockey, Tennis, Badminton, Baseball, Boxing, Swimming etc. and there are many sports clubs and sports schools which gives coaching for these sports. There are so many traditional sports forms which all also included in this like wrestling, taekwondo, karate, “kabaddi” etc, Sports Persons are now a pride for their nation as they bring medal in different international sports events and others like Olympic, Asian Games, Commonwealth Games etc, which raises the position of a nation among the international community. through post-school activities, a parent can identify the best field in which their child is perfect and students who were confused about there career can also find a successful career choice through post-school activity. through various extracurricular activities and post-school activities, a student becomes more creative. the creative and imaging power of a student continuously increases through such type of activities. They Become able to learn things faster through various activities and even able to learn by themselves. Students who have a lack of confidence factor and social fear, after-school activities are the source to magnify their confidence and moral, it creates self esteem in them which reduces their social fear or deficiency of confidence. This is a problem which is the reason for every parent to worries about their child – time management. A proper session by session training and time-bound activities teaches students how to manage there precious time and working together teaches them how to perform a teamwork and how to work in a team and with a team. if a student learns these two abilities, this helps him or her a lot when they join jobs in different corporates after the completion of their studies. We find a conclusion here that post-school activities must be a necessary part of student everyday routine, why because it makes them more skilled and prepared for their coming life and also gives them additional knowledge through various modes and a goal for their life. These activities make them more disciplined and aware about their career and studies.